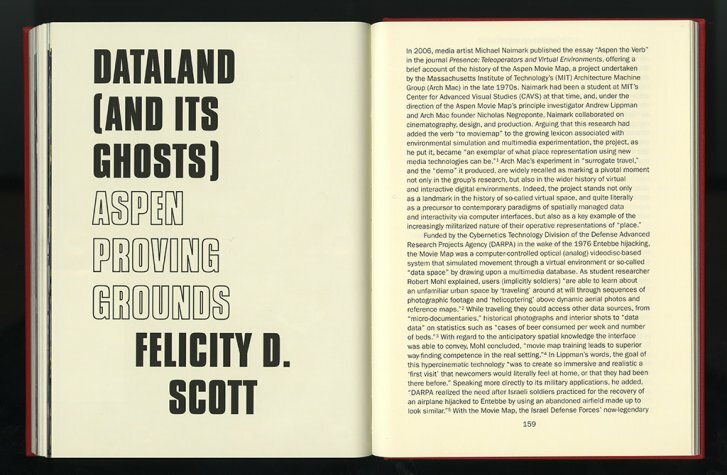 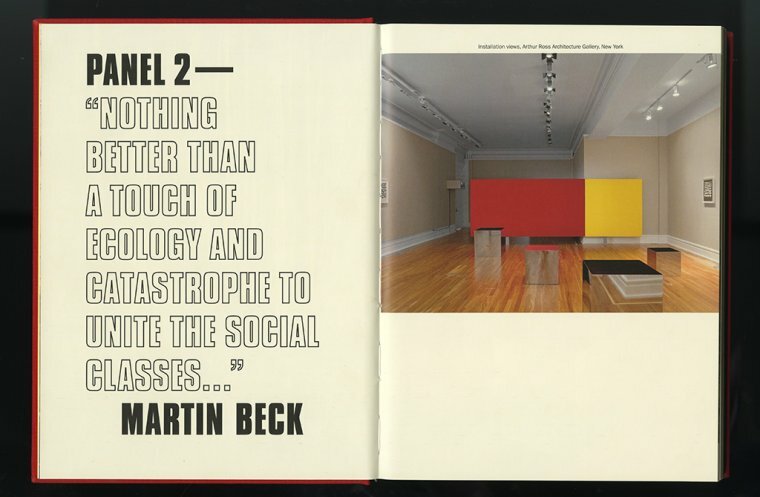 Martin Beck’s exhibition Panel 2 : “Nothing better than a touch of ecology and catastrophe to unite the social classes…” draws on the events of the 1970 International Design Conference in Aspen (IDCA) and the development of the Aspen Movie Map to form a visual environment that reﬂects the interrelations between art, architecture, design, ecology, and social movements. 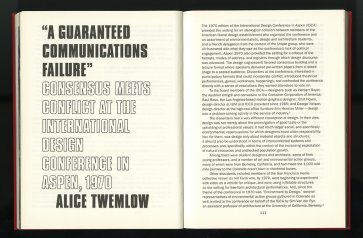 The 1970 IDCA marked a turning point in design thinking. 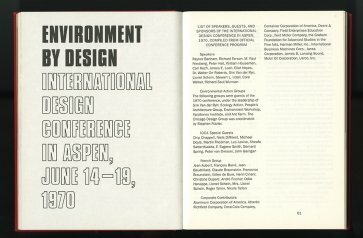 The conference’s theme, “Environment by Design,” brought together venerable ﬁgures of modern design in the United States, including Eliot Noyes, George Nelson, and Saul Bass ; environmental collectives and activist architects from Berkeley such as the Environmental Action Group, Sim Van der Ryn, and Ant Farm ; as well as a group of French designers and sociologists, among them Jean Aubert, Lionel Schein, and Jean Baudrillard. 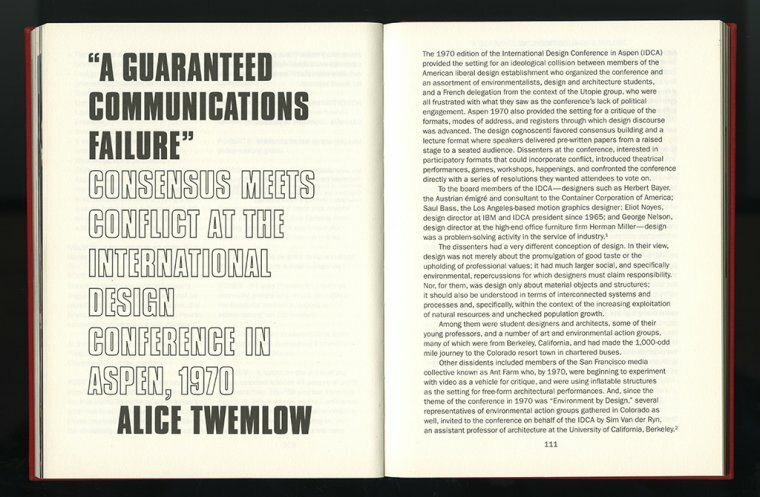 The conference quickly escalated into a site of unresolvable conﬂict about communication formats and the potential role of design for environmental practices in a rapidly changing society. 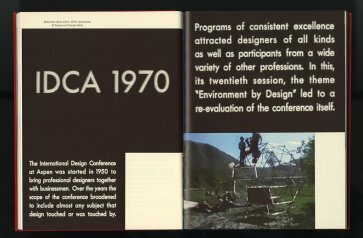 The ensuing decade heralded the development of an interactive navigation system, which used the same Colorado resort town as its test site. 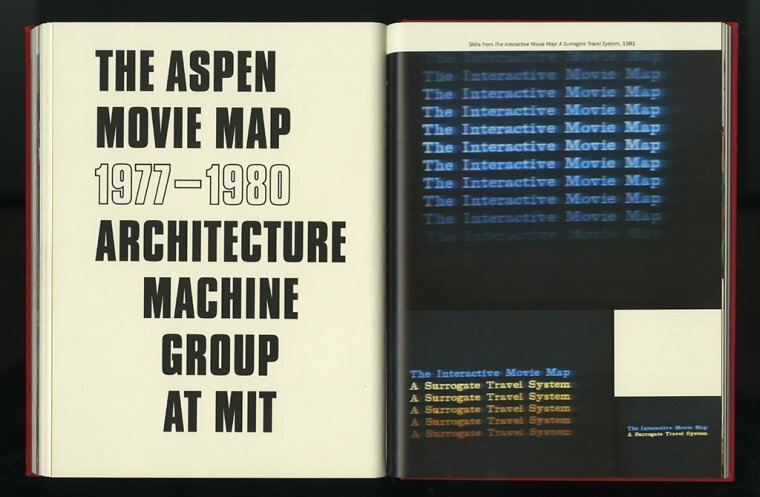 The Aspen Movie Map—initiated by MIT’s Architecture Machine Group (the predecessor to the Media Lab) and partially funded by the US Department of Defense—is an image-based surrogate travel system using footage ﬁlmed in Aspen. 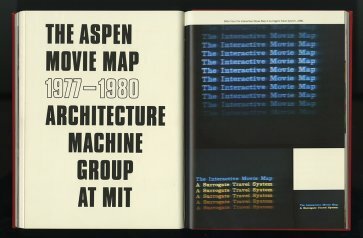 Meant to prepare users for quick orientation in places they have never been to, the Aspen Movie Map was a seminal prototype for today’s military and consumer navigation systems. 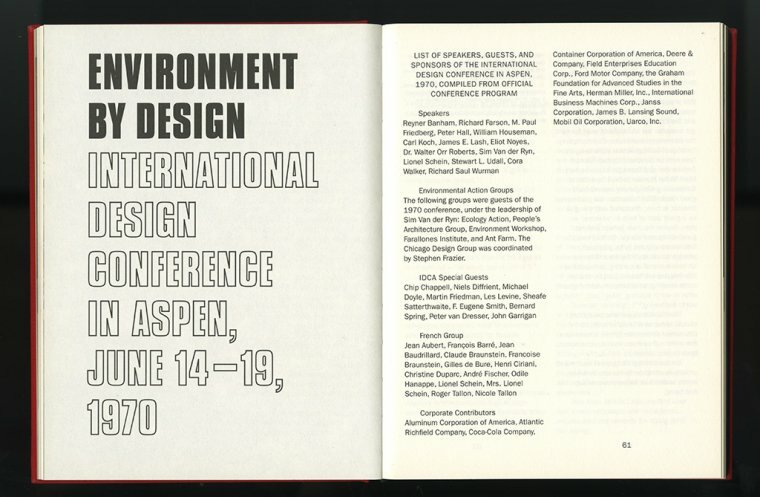 The Aspen Complex documents two versions of Beck’s exhibition—at London’s Gasworks and Columbia University’s Arthur Ross Architecture Gallery—and brings together yet unpublished archival material and new research on the 1970 IDCA and the Aspen Movie Map.